An expert guide on how to build a kit gazebo from manufactured sections, taking you step-by-step through the kit gazebo construction process. 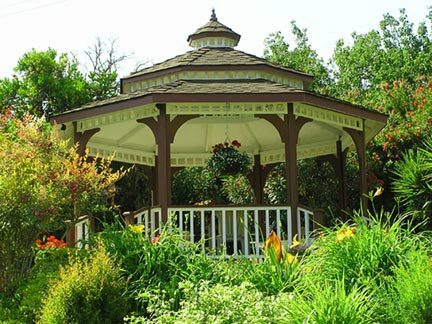 Building a gazebo with your own hands is a challenging project, requiring the ability to install a wooden floor, construct walls, lay roofing—not to mention the carpentry skills needed for decorative detailing. Add to this that many gazebos have geometric shapes that include compound angles and difficult joinery and you have probably entered territory beyond the skills of even accomplished do-it-yourselfers. Today, however, many quality manufacturers produce gazebo kits that already have most of the cutting and joinery done, with the pieces marked to correspond to the instructions for assembly. Some kits even come partially assembled. This not only makes the job of building a gazebo from the ground up infinitely easier but it also makes it a lot less expensive. All you do is pour a simple foundation and follow the assembly directions. If building a kit gazebo yourself is beyond your abilities, please see our affiliate partner, HomeAdvisor, to receive free bids from local pre-screened gazebo construction pros. When deciding on a kit, look for a model that uses screws for all connections, which results in the finished product having a high level of integrity. Also ask about a company’s shipping policy as shipping costs can tack on a significant amount to the bottom line. Many companies offer free shipping within a certain radius, so it’s wise to look into local manufacturers or larger companies with regional outlets. If time is of the essence to you, also inquire about when your order will be shipped. Some companies are prepared to ship within a matter of days. Before you begin assembling a kit gazebo, you will need to prepare a foundation according to the manufacturer’s directions. Though some kits are designed to sit on a concrete slab, most have wood floors supported by a system of concrete piers. 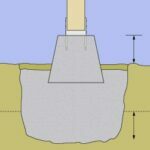 Proper layout of these foundation piers is crucial because the kit’s components are sized to fit this layout. You will also need to check with your local building department to make sure the foundation meet local codes. One easy and sure way to accurately lay out the foundation is to do a “dry run” with the floor’s framing components. Start by creating a level pad for the gazebo and then spreading about 4 inches of sand over the area’s ground. Next, loosely assemble the floor’s structural members. Once they are positioned, they will automatically indicate where the piers and posts must go. Mark their placements with stakes, and then remove the flooring components and dig holes for the footings and piers. For more, please see How to Pour Footings and Piers. The proper method for building the floor framing for a kit gazebo depends on the gazebo kit you buy. 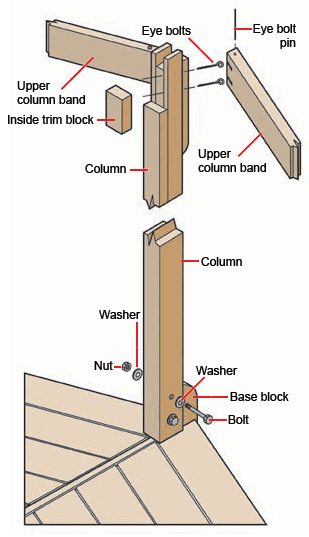 The illustrations here show how floor joists can radiate out from a central hub; the gazebo’s posts connect to special column base blocks, as shown in the detail below. With either style, you begin by fastening the structural members to the foundation pier at the center. The octagon’s points should be in line with the outer piers. 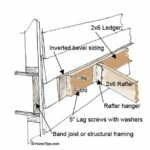 But before you begin to fasten the joists to the outer piers, site down each joist to make sure that its end lines up straight with the end of the opposite joist. If your kit has individual joists, the next step is to connect each joist with the skirt boards. For the kit illustrated, each connection is made with a threaded rod, washers and nuts, aluminum skirt brackets, and column base blocks. Be sure the skirt boards’ top edges sit flush with the top of the floor joists. Finger-tighten a nut (with washer) at each end of each threaded rod. Then, tighten the nuts at the center plate, and, using lag screws, bolt the floor joists to anchors in the concrete piers. To install the floor sections, line up each section’s edges with the centerlines of the floor joists. If necessary, use a mallet to gently tap the floor sections toward the center until they are tightly together and the outer edges of the floor nailers are even. Then use galvanized screws to fasten the floor sections to the joists. Ideally, gazebos and garden rooms that have wooden deck-like floors are very low to the ground. You can usually lower the height of a floor by using smaller-width joists and beams. However, this change may require you to reduce beam and joist spans, which in turn may mean pouring more footings. Another strategy is to attach the joists to the side, not the top, of the beam. See three options in the illustrations below. If the yard is level and the floor will be low to the ground, you will not need posts. However, the piers must all be level with one another. To build with no posts, plan to install at least two rows of piers with identical beams placed along each row. Construct the beams with double 2-by members. Attach the joists with joist hangers on the inside face of each beam. Once the floor is built, it’s time to erect the columns or side panels. If your gazebo kit’s columns are not an integral part of the floor system, the next step is to bolt them to the base blocks. See the illustration below. Then assemble the upper column bands at the top of the columns. Just finger-tighten the nuts until all of the upper column bands are placed. Tighten the nuts, alternating between the right and left nuts on each column. Screw the inside trim blocks in place with 3-inch trim screws. Install the side panels by positioning each panel so it has equal margins on each side, and then attach each panel to the columns, typically with 2 1/2-inch screws. Preassembled side panels are heavy and a bit awkward to maneuver, so be sure to have a helper on hand. You will also need a couple of tall stepladders. Install the trim pieces, including the handrails. Set any exposed nail heads beneath the surface and fill the holes with matching wood filler. If you have stained or painted the structure’s pieces prior to assembly, touch them up. Once all of the side panels are in place, it’s time for the most difficult part of assembly—placing the rafters. Kit gazebo’s roof panel is lifted into place. Start by laying opposing rafters on a flat, level surface and screwing them to the central hub. With at least one helper (you may need two or three), fit the ends of this truss onto a pair of opposing posts. Be sure the bird’s-mouth cuts at the rafter ends seat fully. Then screw the rafters to the post tops. With one person on a ladder near the center, position and screw the remaining rafters in place. Some models employ horizontal blocking between the rafters. Once all of the rafters are in position, fit and screw this blocking in place, working from the bottom tier upward. 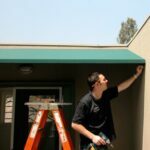 For a large, 15-foot gazebo, it may be necessary to install a roof support band or, for a screened model, a screen band around the perimeter. Being sure to keep the band flush with the top edge of the rafters, screw it in place. Next, install the eaves band, positioned a uniform distance from the rafter ends. Next comes the really heavy lifting. Lean three long boards against the roof support band to serve as a ramp for sliding the first roof section up into place. Position yourself on a ladder at the edge of the rafter and have a helper lift and slide the section into place (this may take two helpers and/or you may need to climb up onto the roof framing and help pull the section up). Center the section’s edges over the rafters. Screw it in place with 3-inch screws through predrilled holes. Repeat this process with the other sections. Place the peak cap on top so that its threaded rod is projecting up through the cap’s center, and then screw down the finial, securing it against the peak cap. 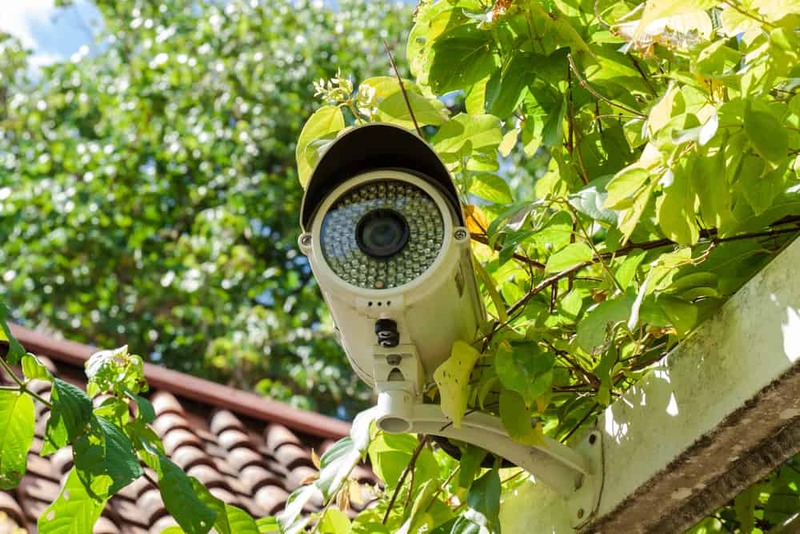 If you are installing a small cupola on top, use a longer threaded rod and place the cupola’s body between the roof and the peak cap. Some gazebos utilize special banding to cover the gaps between the roof sections. Install this according to the directions. 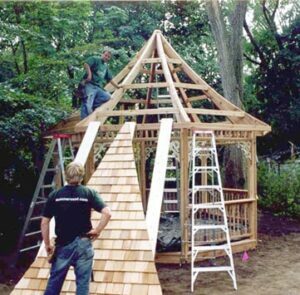 The surface of the kit gazebo’s roof is often pre-shingled, as shown here. If yours isn’t, the roof can be handled in any of several ways. For a complete discussion of this, please see Putting the Roof on a Patio Overhead and reference the drawings in the article Patio Roof & Gazebo Construction.